Consumers also complained about receiving calls from a withheld number. Using a withheld number to hide their identity limited the consumer’s ability to complain and to ask not to be contacted again. 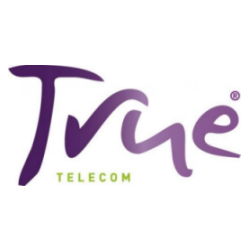 True Telecom Ltd’s script also led consumers into believing that they were calling from BT Open Reach and the ICO was unhappy about consumers being misled. The thing is, this is not the first time that True Telecom has been in the crosshairs of the ICO – in 2013 they were contacted regarding TPS complaints and earlier this year (March 2017) they were prosecuted for failing to have an entry on the Data Protection Register – the register of Data Controllers, kept by the ICO. All of the above led the ICO into believing that True Telecom Ltd were not taking them seriously and that’s a position you really don’t want to be in. In this case, it led to True Telecom receiving a whopping fine of £85,000. What rules did True Telecom Ltd break? These may seem a bit technical, but if you outbound call you need to get technical! Calling consumers registered on the TPS - Breach of regulation 21 - Privacy and Electronic Communications Regulations 2003 - You can’t call people registered on the TPS unless you have their permission. Pretending to be BT Open Reach - Breach of regulation 24 - Privacy and Electronic Communications Regulations 2003 - If you call someone, you MUST give your name, and contact details (address or free number). Called using a withheld number - Breach of regulation 21 (A1) - Privacy and Electronic Communications (Amendments) Regulations 2016 - You must present a valid Call Line Identification (CLI) when making outbound marketing calls. Not registered under the Data Protection Act - Breach of Section 17 - The Data Protection Act 1998 - With only minor exceptions, you cannot process personal data unless you are registered as a Data Controller with the Information Commissioners Office (ICO). “There’s a lot more to this case that I think could be of interest and serve as a good lesson to many other companies out there who are doing many of the same things as True Telecom. This is one of those Monetary Penalties that you really need to download and read. You just need to focus on pages 6 and 7, “the Background To The Case” as that’s the main bit.